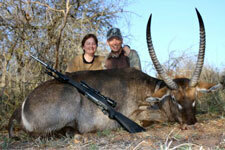 Cruiser Safaris, South Africa Build Your Own hunting package. 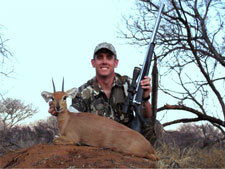 Build Your Own Package and Hunt only the African animals you are interested in hunting with NO restrictions. Savings based on total of trophy fees and whether hunting 1x1 or 2x1. Cost of this safari is totally determined by you. Pay only daily rates and trophy fees. Earn discounts on trophy fees by the number of animals that you hunt. 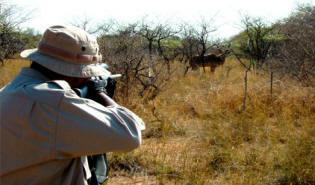 This package is completely different than any other package that we have offered before and was designed to provide savings for those who wanted to hunt in Africa but did not care for all of the animals that are included in other "packages" or who were only interested in hunting a few specific animals. With this package there are no animals that are included with the package and you determine which animals that you would like to hunt and what your own savings will be. With this package you can hunt 1x1 or for additional savings you can hunt 2x1 with your hunting buddy to share those magical moments together while saving money. The additional savings that you will receive with this package is based on the total of our regular trophy fees of the animals that you take. When the total trophy fees of the animals that you have taken exceeds $1,500 (excluding Nyala, Sable, Bushbuck, Buffalo and any Free State animals) we will give you a discount of 10%. Thus if your trophy fees are $2,120, we will give you 10% off of that total, making your new trophy fees $1,908 for a savings of $212. If you are interested in more animals, then you will have the opportunity to save even more. 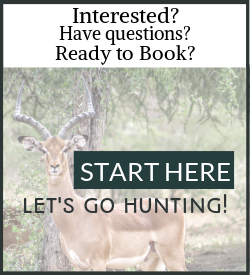 If the total of your trophy fees exceeds $3,000 (excluding Nyala, Sable, Bushbuck, Buffalo and any Free State animals) then we will give you a discount of 15%. Thus if your total trophy fees are $3,200, we will give you 15% off of that total, making your new trophy fee total $2,720 for a savings of $480! Thus trophy fee totals over $1,500 earn a 10% discount and trophy fee totals over $3,000 earn a 15% discount. NOTE: 10% Discount on Giraffe but the Trophy Fee can not be used toward the Trophy Fee total. Total cost of this safari is your daily rates plus your discounted trophy fees. This is a fully inclusive safari and there are no additional fees or hidden charges. This package must be booked prior to your arrival. These discounts do not apply to any of our other packages. Can not be combined with any of our other packages. The minimum duration of this package is 7 days. If hunting 2x1, the trophy fee discounts apply to each hunters trophies and are not a combination of both. 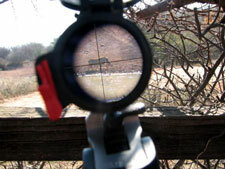 Method of hunting is not restricted and can be by rifle, muzzleloader or bow (restrictions apply for temporarily importing handguns into South Africa). 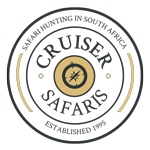 Cruiser Safaris safari hunting Terms of Business apply to this Build Your Own Safari Package and all of our hunting packages. Build Your Own Hunting Package?